One of the hardest working musicians I know is one of my best friends. 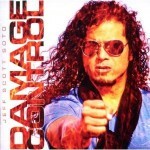 His name is Jeff Scott Soto. We don’t get to see each other as often as we used to. That’s what happens when life intervenes. I watched Jeff turn from a regular front man to one that has a superior stage presence. I would attribute that to his stint in Boogie Knights. The entertainment value he learned fronting the Knights has translated to into being able to put on an amazing show in his rock career. Recently Jeff sent me his newest release which is Soto’s Damage Control minus the Soto in the title. The idea behind the release is that he’s moved pretty far from the style of music that made him popular many years ago. He felt it was time to head back towards his early career roots of hard rock and heavy metal. There’s a good chance that a lot of his newer fans wouldn’t know he started with metal guitar god Yngwie J Malmsteen. I would go on the line saying that Jeff’s voice is the pre-cursor to a lot of the “operatic” style metal singers that came out in the late 80’s. Damage Control is not heading back to the soaring vocal stylings of his Yngwie era but the music certainly relating easily back to the early Talisman part of his career. Ton’s of heavy guitars. Mounds of molten riffs from the bass, guitars, and keys. Pounding drums underlie it all. It’s a power packed album from front to back. Jeff let me know that it’s his way of saying thanks to the fans for sticking with him through the years, but also to say hey, I haven’t forgotten where I came from and I’m back in it the way you want me in it. For super fans of the 80’s metal and hard rock years, this is the CD you’ve been waiting for. Of course it’s available in all your favorite digital places as well. Additionally, Jeff has a bet with his record label that has already been won. It’s already into it’s 3rd pressing. That’s pretty awesome. Stay abreast of my musical happenings from Single of the Day via the email list in the upper right. You’ll be happy you did and I’ll be happy to have you in the loop too!